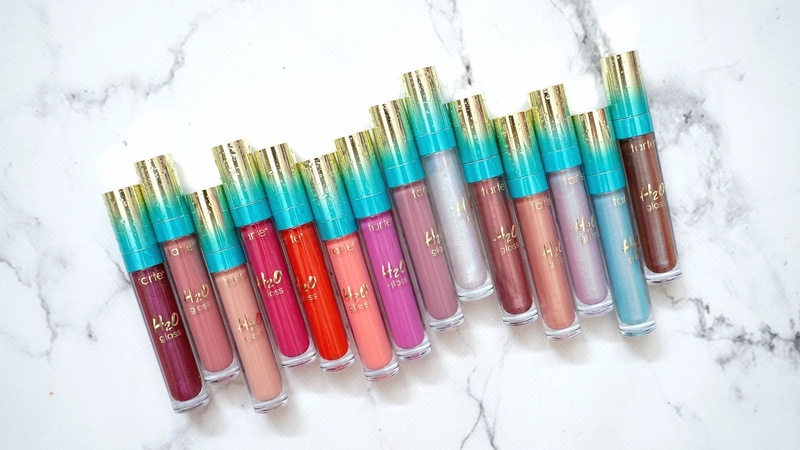 I have been fortunate enough to be sent this gorgeous collection of glosses from Tarte. 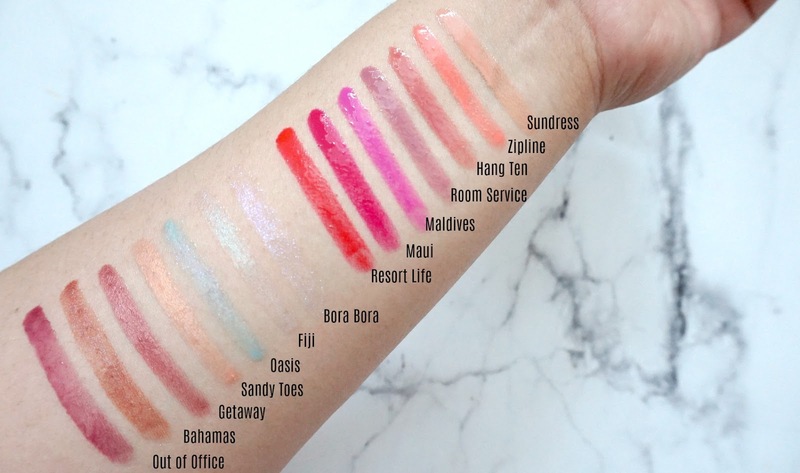 To do them justice, I have swatched them for you below on both my arm and on my lips. The lip glosses come in two different formulas - the High Shine Finish, which is solid opaque colors and the Shimmer Finish which as the name suggests, is shimmery or metallic duo chrome in finish. 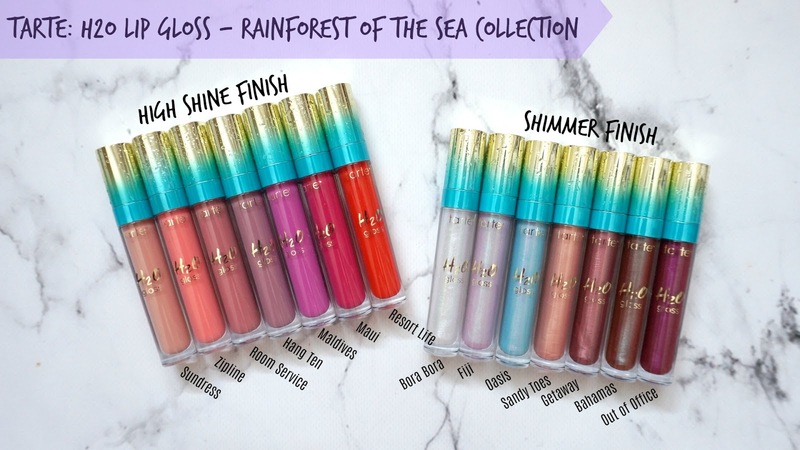 The Tarte H20 Lip Glosses retail for $23 each Canadian. As you can see, the High Shine Finishes are extremely pigmented and what you see is only with ONE swipe! I truly love the formulation and it makes your lips look glossy and juicy. ohhhh Zipline is totally calling my name!